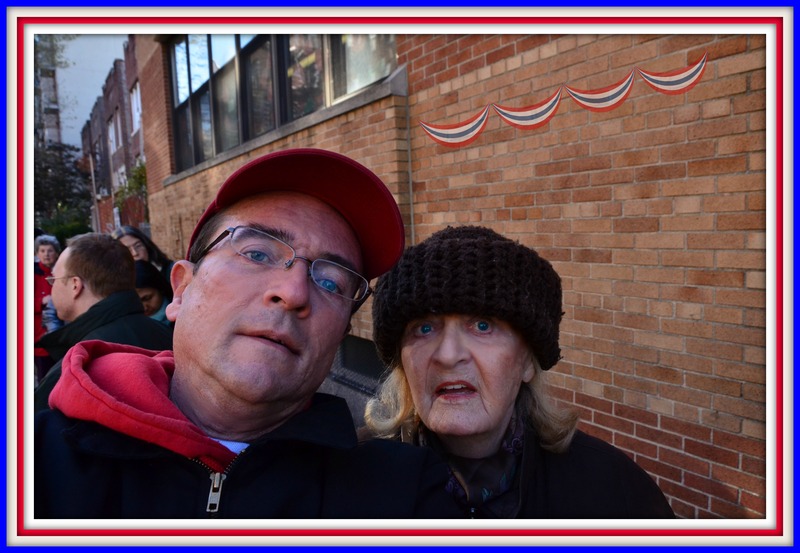 Photo of the day: TWO GENERATIONS VOTED! WE DID IT! EDNA TURNBLAD 2012: In “Hairspray”, Edna Turnblad wants time to stand still and she not move into the far out 1960’s. 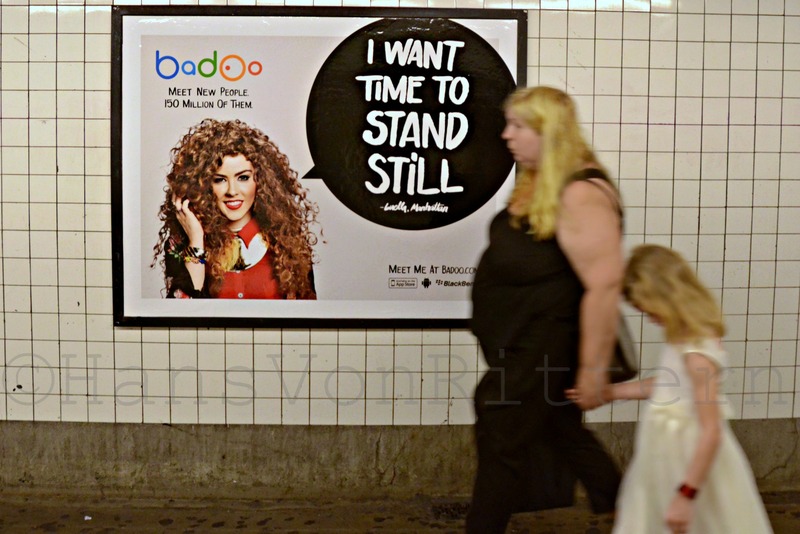 I am at the 14th Street F line subway station, and I see this billboard and start photographing people rushing by it not letting or having time stand still. Then . . . the 2012 version of Edna Turnblad passed by. Divine lives !